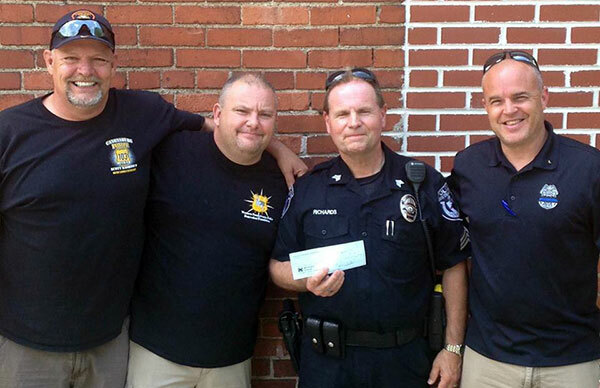 It is the purpose of the Western Pennsylvania Police Benevolent Foundation to provide assistance to injured police officers in need. This assistance may be in the form of information about available resources or monetary aid to help ease the financial burden in a time of crisis. On December 9, at F.O.P. 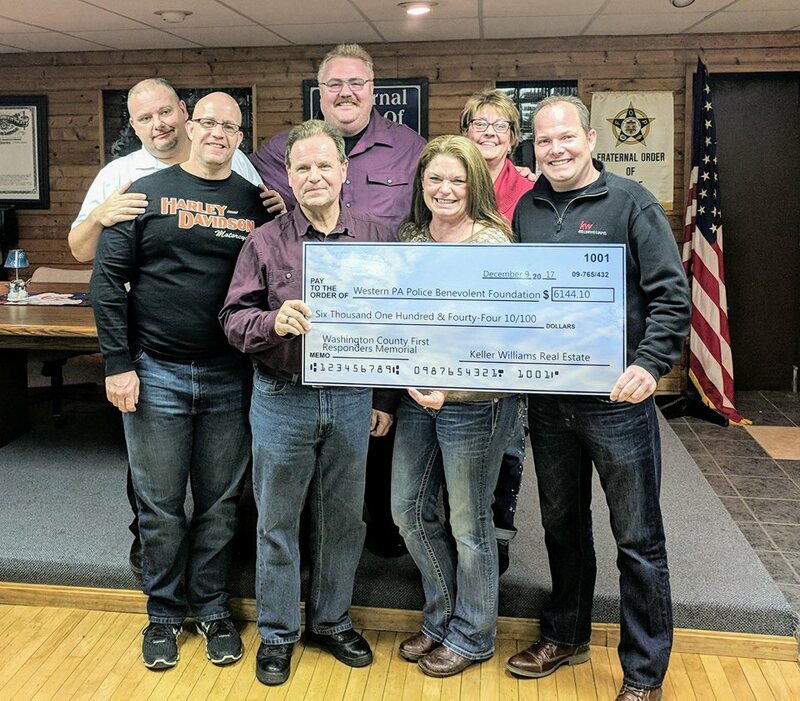 Lodge 22, Keller Williams, KW Cares and their partners — along with the WPPBF — presented a check that is dedicated towards building the Washington County First Responders Memorial. Thank you to KW Cares, F.O.P. Lodge 22 and our partners for working so hard to make this a reality. On April 30, 2017, the Western Pennsylvania Police Benevolent Foundation presented Mike Phillips, President of the Washington County Fraternal Order of Police and Sergeant Dave Richards of the North Strabane Police Department with a check for $1,000. The donation, presented by WPPBF President, Rich Griffith, and Treasurer, Tim Kreger, will be used for the creation of a Washington County First Responders Memorial to honor those from Washington County who gave their life in service to others. 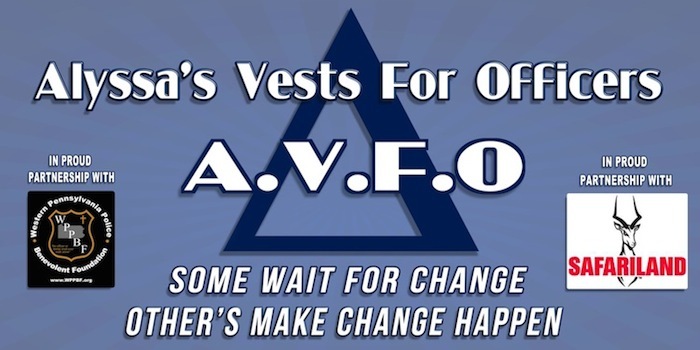 Those wanting to donate to this project and help make it a reality can reach out to any WPPBF board member for information on whom to contact. ©2019 Western Pennsylvania Police Benevolent Foundation.